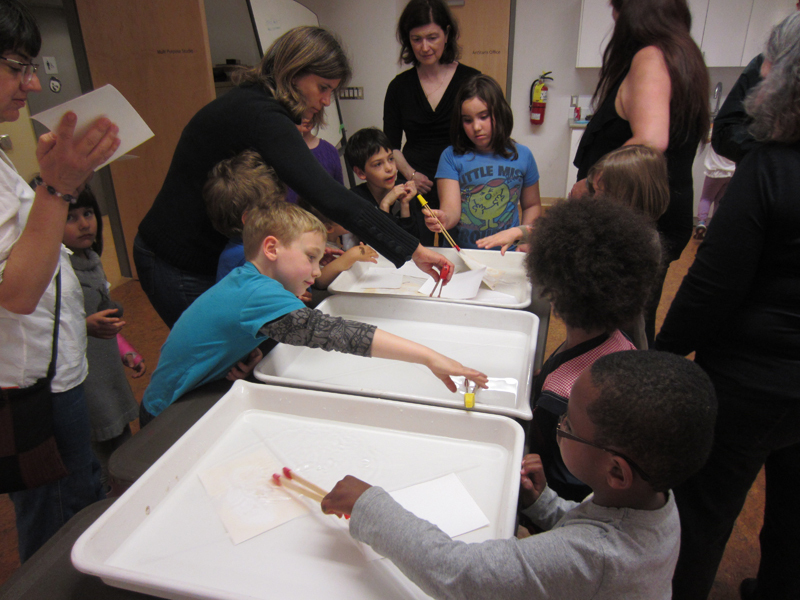 In celebration of BC Arts and Culture Week (April 21-27, 2013), we hosted a special visual art workshop with Phyllis Schwartz. 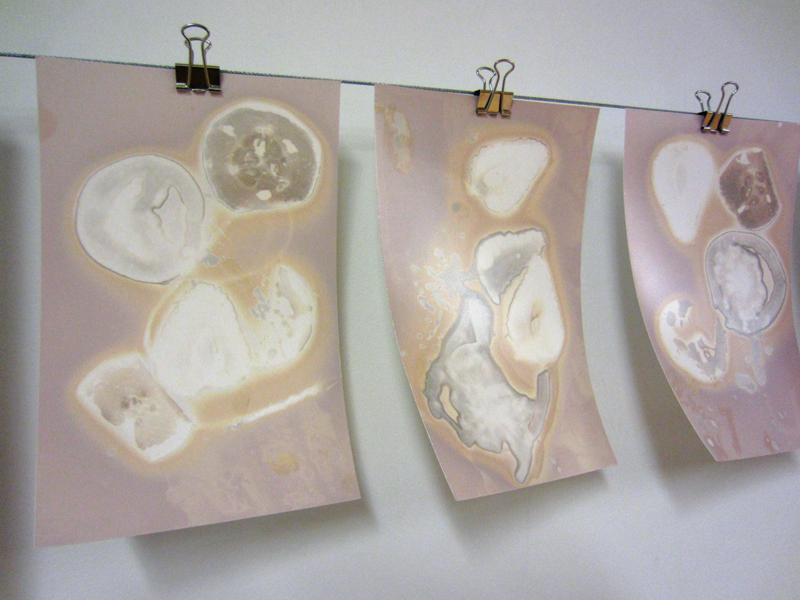 One of the areas that Phyllis explores as an artist is experimental photography. 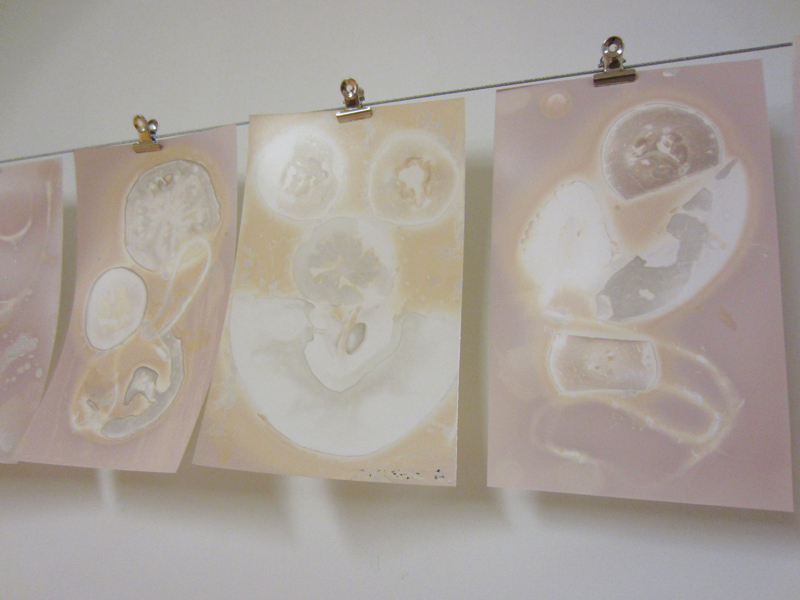 She recently worked with Grade 11 and 12 students at Kitsilano Secondary School in Vancouver, exploring the an art form called lumen prints during an artist residency. 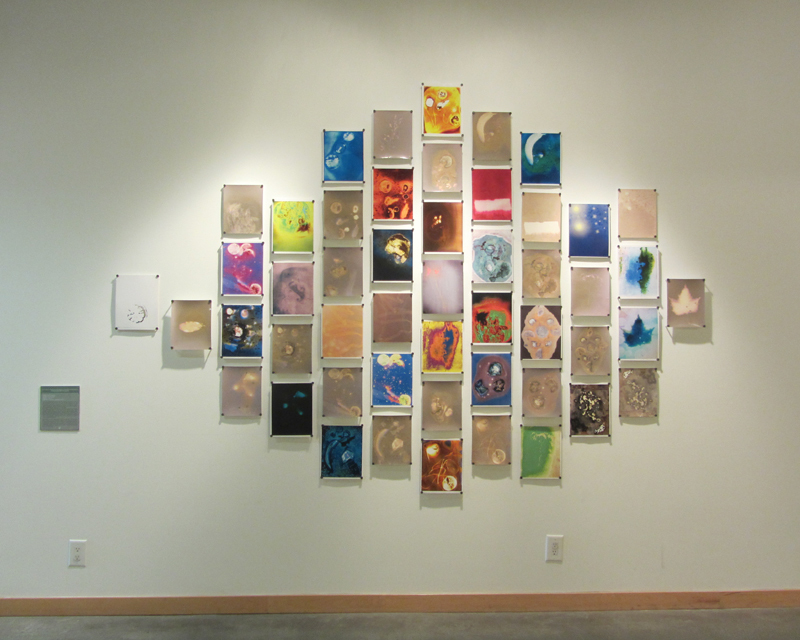 The results are on display at in the current exhibition at the ArtStarts Gallery. 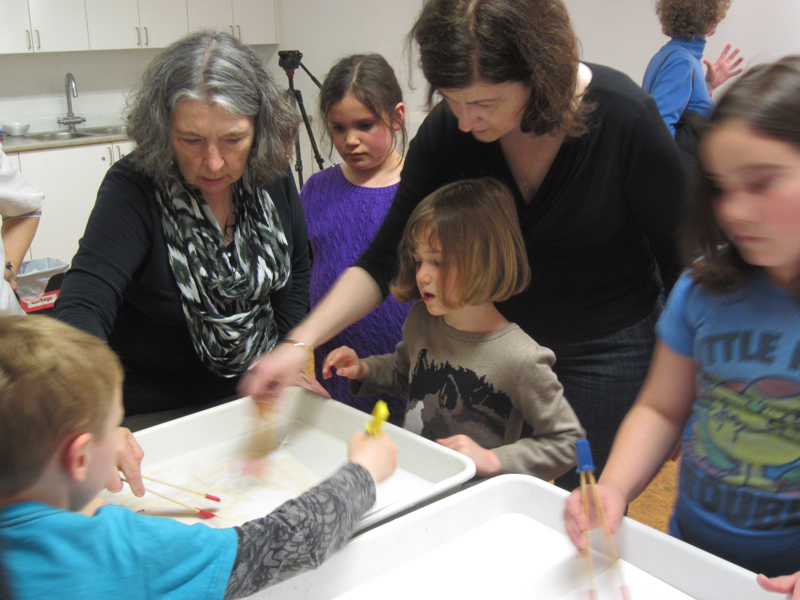 For BC Arts and Culture Week, Phyllis presented an interesting hands-on workshop at ArtStarts all about lumen prints. 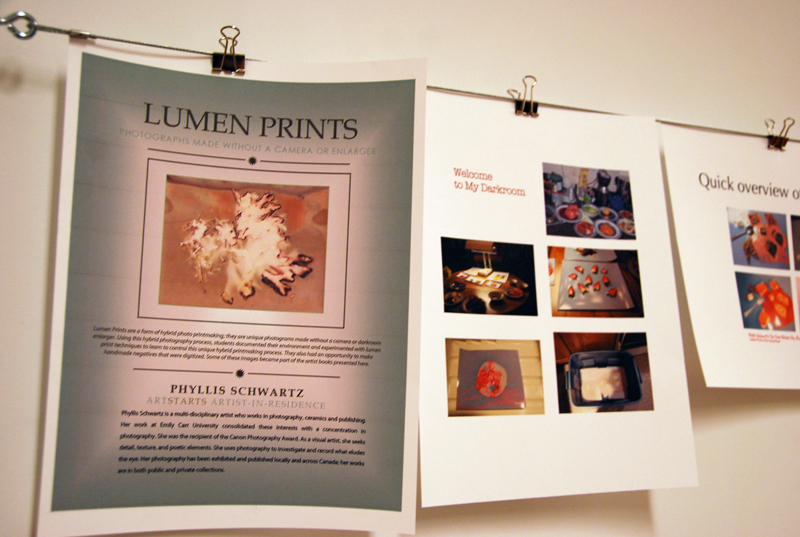 A style of analog photography, lumen prints don't require the use of a camera or even a darkroom. 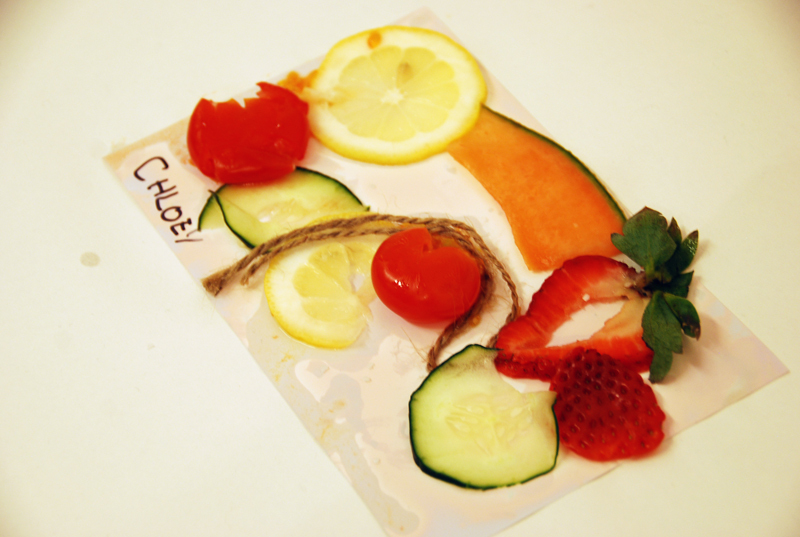 They use light, photographic paper and - at least at this workshop - some fruits and veggies! 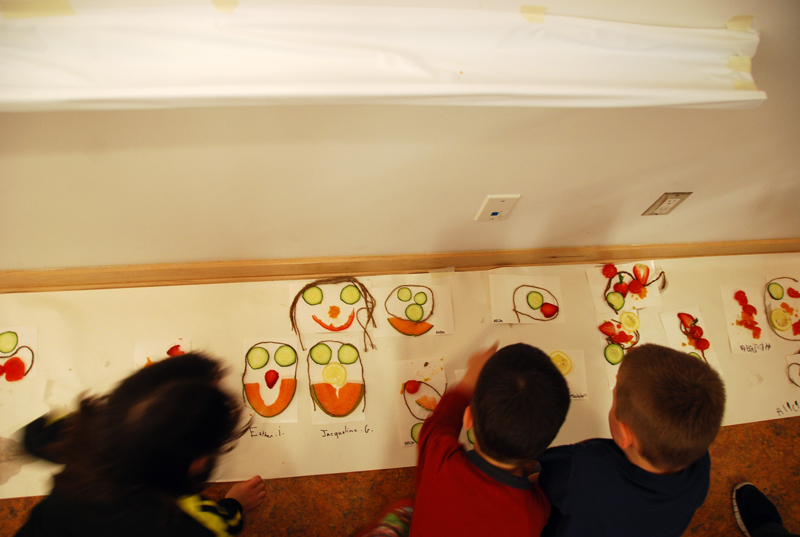 Phyllis demonstrated the process to the kids and families in attendance, first with sample prints that had already been sitting for a while that day covered in various arrangements of fruits, veggies, string and other objects. 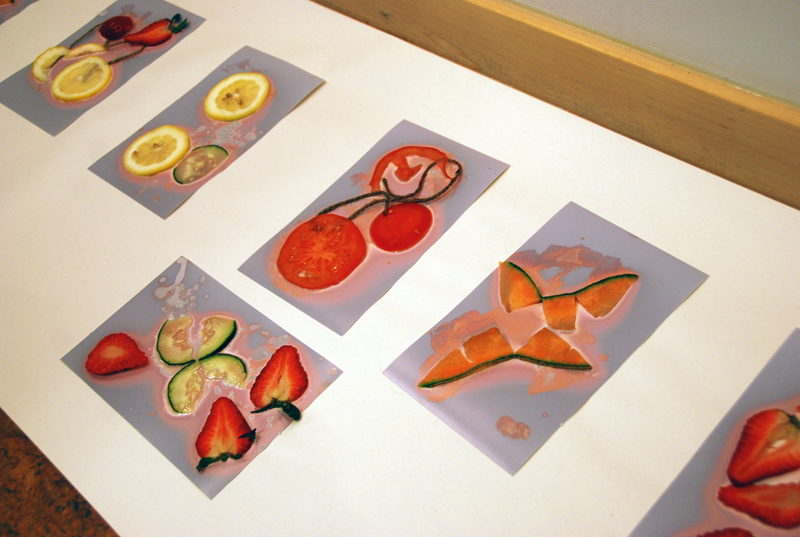 Kids then got to make their own lumen prints by arranging objects on photographic paper in the dark, then, after waiting for a period of time, dipping them in a series of baths to reveal x-ray-like images. 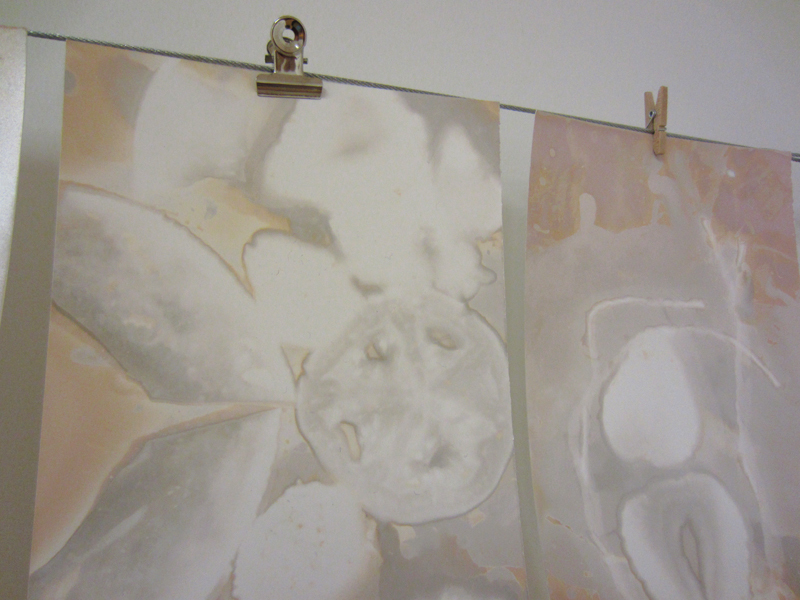 Lumen prints can be used to document as well as create artistic renderings of botanical specimens. Check out more photos on Facebook. Thanks to Phyllis Schwartz for a great workshop!